Apple TV plays a crucial part in Apple's entertainment system, allowing users to watch streaming TV or movies, play games, listen to music, mirror iOS screen and more. Finding your Apple TV not working, however, will drive most of users into crazy. Luckily, these problems can be easily resolved. Below we have summarized common problems you may encounter on your Apple TV 4k/4/3/2 generation, as well as how to fix them. 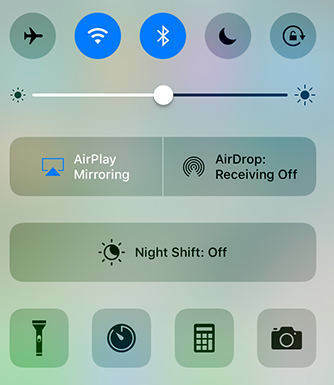 Sometimes when you press any button on your Siri Remote or Apple TV remote, the Apple TV won't turn on but light is on, or when you select Sleep option and it won't automatically power off, follow these steps to troubleshoot. Unplug power cord from ATV and wait for a while to plug it back. Use another power outlet or strip if necessary. Make sure HDMI cable is well connected with both Apple TV and your televisions. Switch to a new resolution. On Apple 4K/4th generation, press Menu and Volume Down buttons for 5 seconds and select a new resolution. On 2nd/3rd generation ATV, they are Menu and Up buttons. 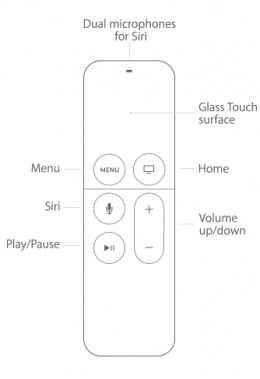 The Apple TV remote problems can be divided in two aspects: Siri Remote and Apple TV Remote app. When your Apple TV not responding to Remote control, suggestions underneath should help work around this issue. Make sure the remote has enough battery power for operation. If not, charge it for 30 minutes with a lightening to USB cable. Move anything that may block the connection between your remote and television or receiver. Make sure your use Siri Remote within range of Apple TV. 3 inches away is recommended. Reset your remote by holding Menu and Volume Up buttons for 5 seconds and completing pairing. Disconnect Apple TV from power outlet and reconnect again after 6 seconds. Some users would prefer to use app for iOS to control their Apple TV, and it happened to them that Apple TV Remote stopped working with no reason. Below is what you can do. 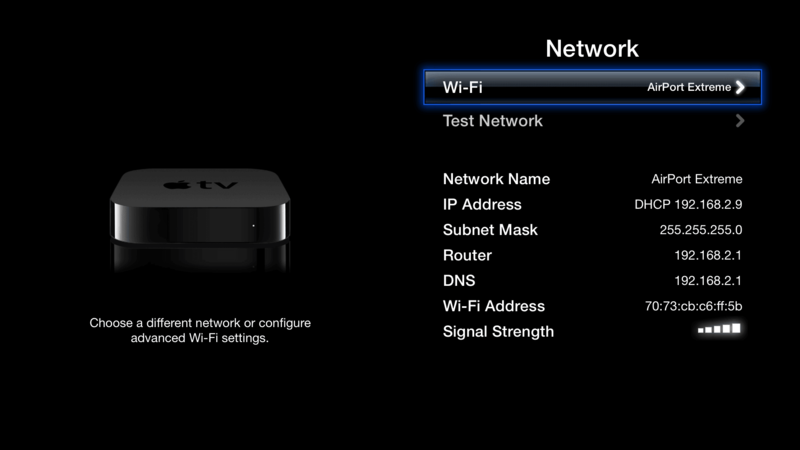 Go to Settings > Wi-Fi on your iPhone/iPad and check if you are using the same network as Apple TV. Force restart both your iOS device and Apple TV. Update to latest iOS version on your iPhone or iPad. Another frequently discussed problem is Apple TV not connecting to WiFi network. If there is nothing wrong with your Internet router and modem, you will need to update the software. If Apple TV can work with Ethernet cable, go to Settings > System > Software Updates. Or not, a handy tool called Tenorshare ReiBoot is going to help. Simply connect your Apple TV with computer where you have installed ReiBoot, and click Fix All iOS Stuck. You then can download the newest tvOS to be updated on your Apple TV. For more details, please refer to how to fix Apple TV Won't Connect to Network. Airplay lets you share screen from iPhone/iPad to television, or stream videos and photos to your Apple TV. It should work flawlessly most of the time; however, you may also encounter unexpected issues, like Apple TV airplay not showing up, cannot airplay to Apple TV, etc. Here are possible solutions. Ensure you are using the same WiFi network on iOS device and ATV, otherwise Airplay will not work. Go to Settings > Airplay on your Apple TV to check whether Airplay feature is enabled and set to either Everyone or Anyone on the Same Network. Restart both iOS devices and your Apple TV if you still can't find Airplay options. Check for updates for iOS and tvOS. Or use Tenorshare ReiBoot to get iOS 11 IPSW files. If you are not getting sound from Apple TV connected receiver when playing videos, the first thing is to restart all your devices. Then try following methods. On your Apple TV, go to Settings > Audio & Video and turn off Dolby Digital. Or you can try to change the Audio Output from Auto to 16 bit similarly in Settings. If TV apps like Netflix has no sound on Apple TV, go to Settings > Airplay > Speakers and make sure it's set to the right speaker. As the world's leading Internet television network, Netflix is necessary for Apple TV users to browse through various TV shows and movies. The problem Apple TV not working with Netflix is basically resulted by network connectivity. Therefore it's recommended to check the Internet and router first. If that doesn't help, try below troubleshooting ways. Check software update for both Netflix and your Apple TV. Uninstall Netflix app and get it back from App Store later. These methods also apply to other apps like Hulu, HBO Now, YouTube, BBC and so on. Hope you can manage Apple TV better after reading this article. Just in case Apple TV not working after update, you can always have Tenorshare ReiBoot to repair the system. By the way, if you have any other Apple TV issues, don't hesitate to leave a message and we will help you resolve it.